Scott was concerned about his worn front teeth and the fact that they seemed small to him and had spaces between them. He felt like he had “little kid teeth.” The wear was due to an uneven functional bite problem and in fact he did have small teeth for his face and the size of his dental arches. Scott’s porcelain veneer restorations were designed to fill all the space with proper length to width ratios in all the front teeth, giving him a very natural looking restored smile. 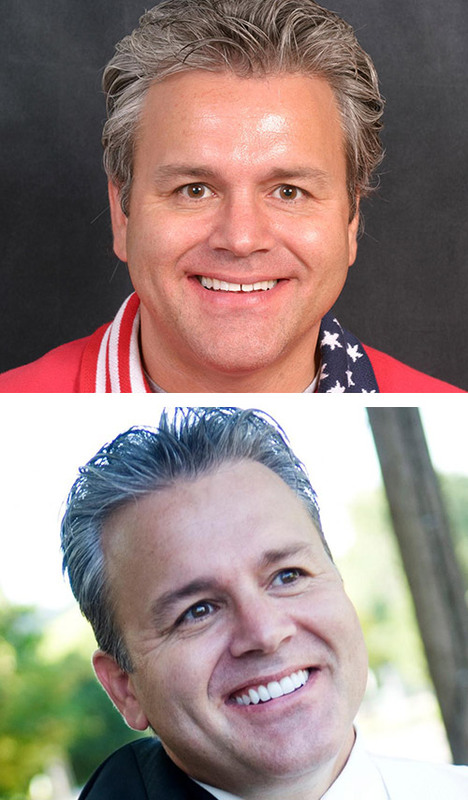 Scott’s smile is now very uninhibited thanks to porcelain veneers by Dr. Gorman! Dr. Gorman, one of the top Minneapolis dentists, can help you to find your “uninhibited” smile too. Contact our office or call us at (651) 483-5134 to set up a friendly consultation. We look forward to getting to know you and your smile!